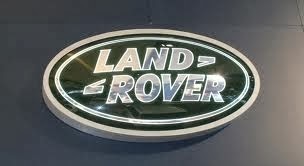 Land Rover was registered on 22nd November 1960. Chassis number 151100273 making it the 273rd one made in the 1961 model year. The engine is amazingly the original and is 1511 numbered as would be expected. A new MOT has been obtained and it drives very well for a Series 2! Good solid bulkhead, has had some work to footwells over the years. Good solid chassis that as you would expect has been repaired to a good standard in a number of places over the years. The brakes are good and the correct 750-16 tyres are as new. The engine starts on the button and pulls well. The gearbox selects well and does not jump of gear as some do! Free wheeling hubs are fitted for better economy. Nice and correct inside with the original Lucas wiper motors present and working and the original instruments in the dashboard. Has been fitted with an alternator for better charging. The only thing not working is the fuel guage. Great fun workhorse ready to use and improve over time if you wish. Can be viewed off Junc 14 M4 Near Hungerford Berkshire.